Halloween is seriously just around the corner, and it's time to have an easy and accessible way to give out snacks - whether at home or in the office. 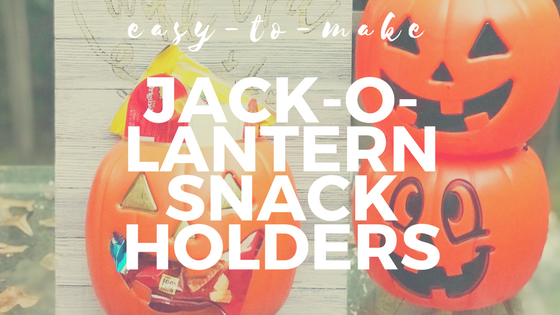 In lieu of the traditional candy bowl, try out the easy-to-make jack-o-lantern snack holder below. All it takes is a few items and less than an hour! 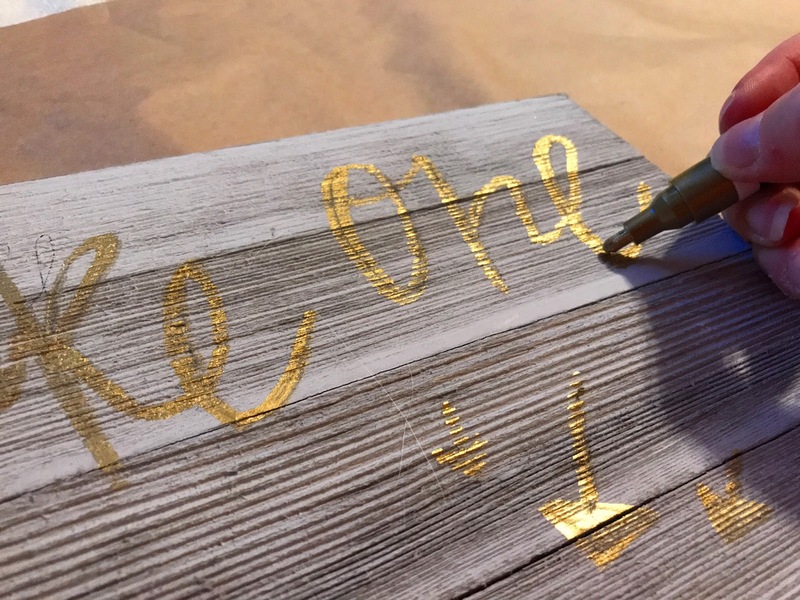 The best thing is you can hang it on your front door or sit it on a table in your office. And instead of candy, fill it with some snacks people will really want: KeeblerⓇ cookies, Cheez-ItⓇ crackers, Kellogg'sⓇ Rice Krispie TreatsⓇ, and PringlesⓇ Original chips. (And let's not kid ourselves, by people, I don't just mean kids - grownups will love these snacks, too). Hover over the photo below to shop for the above-mentioned snacks! Snacks to fill it up! 1. On your plank board, write something along the lines of "take one" using your paint pen. I chose gold. I also outlined the letters with a black sharpie. 2. 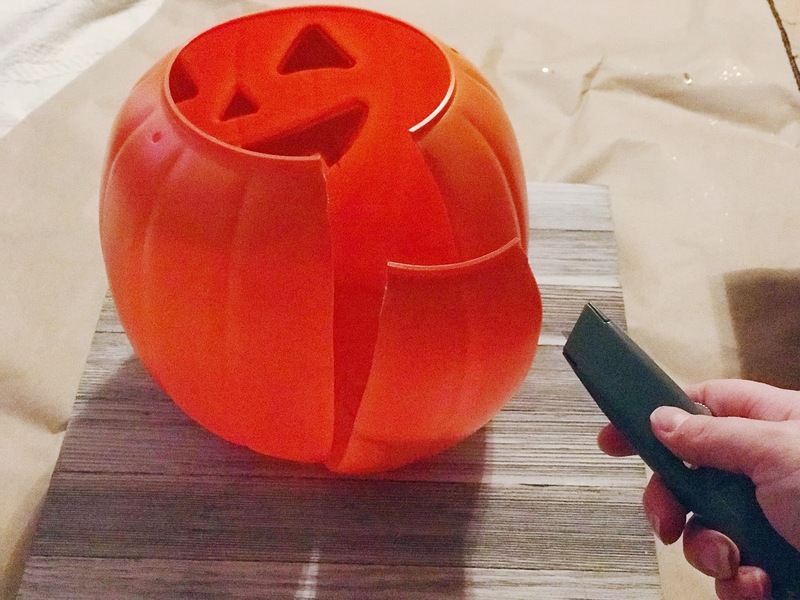 Now, take your plastic pumpkin and using your box-cutter, cut out the back half of the pumpkin. 3. 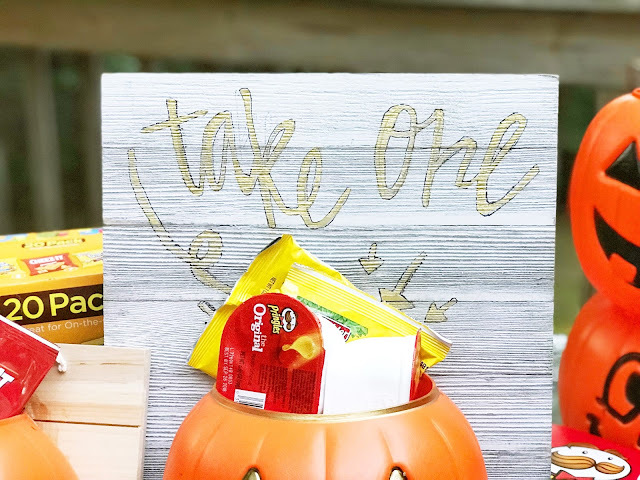 With the face of the pumpkin facing down, cut out the jack-o-lantern's mouth. 4. 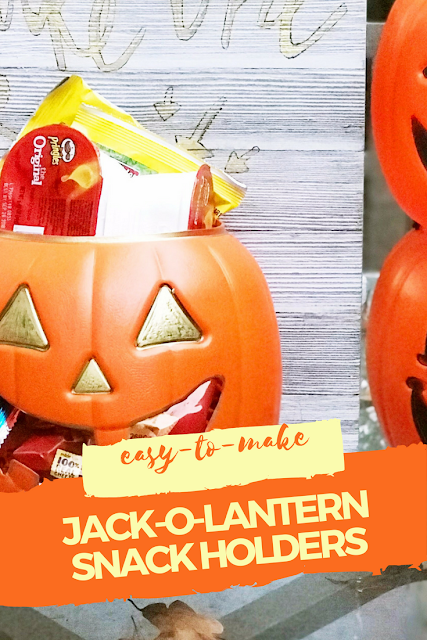 Color in the mouth and nose, and outline the mouth and top of the jack-o-lantern for a little extra flare. 5. 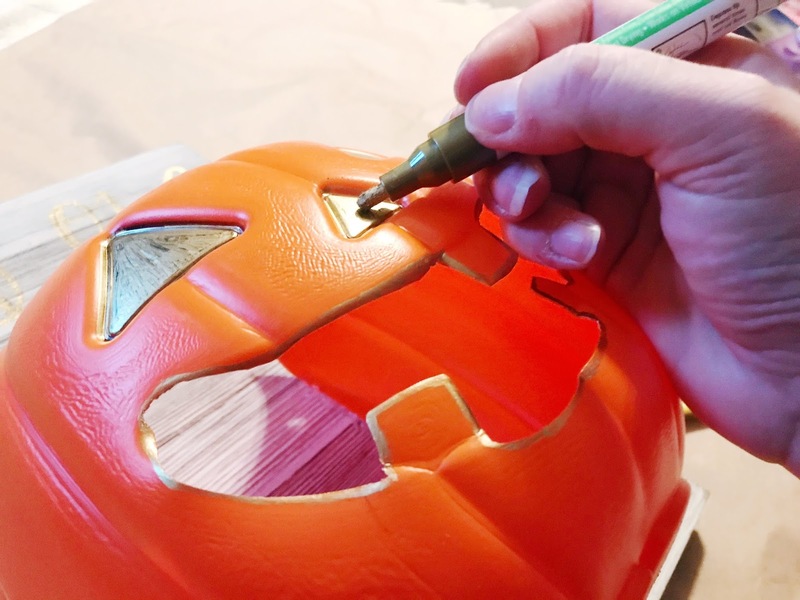 Using the hot glue gun, attach the jack-o-lantern to the wooden plank. Hold firmly in place until dry. 6. Stuff with snacks! 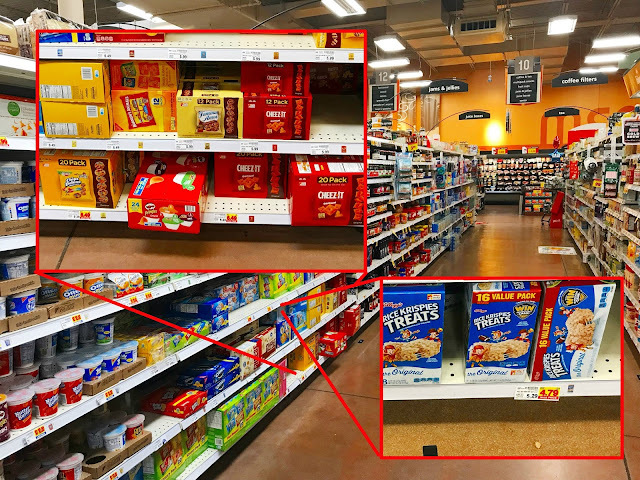 As mentioned above, I chose to go with Keebler cookies, Cheez-It crackers, Kellogg's Rice Krispie Treats, and Pringles Original chips - all of which I picked up at my local Kroger. I love the idea of giving out these types of snacks because not only do they taste great, but their great for on-the-go. So, you can even keep some for yourself to stuff into your lunchbox. Make sure to check out your local Kroger (or Kroger banner store) for great offers and limited time special pricing. You can even use this digital coupon for a special discount. 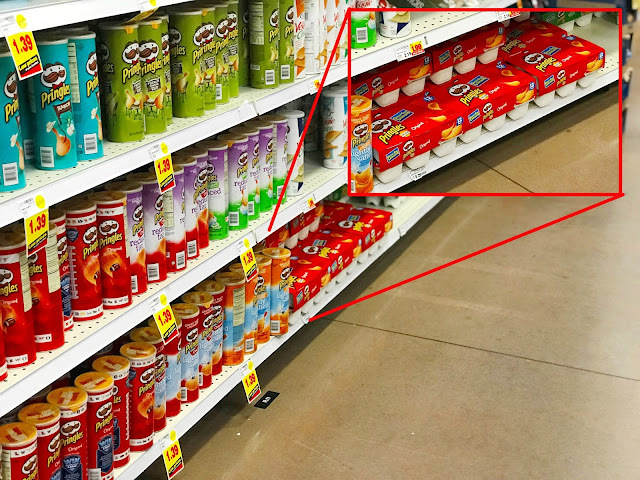 You can find these same snacks at your local Kroger or Kroger banner store. They're in the aisles will single-packaged snacks and chips. 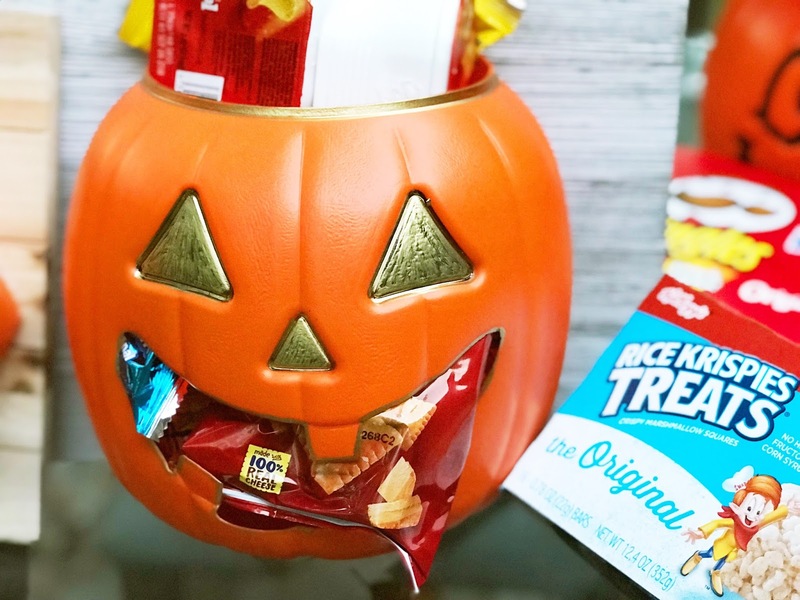 For more Halloween inspiration from Kellogg's, check this page out - you may find something you really like! Thanks so much, Kate! They're super easy to make, too. 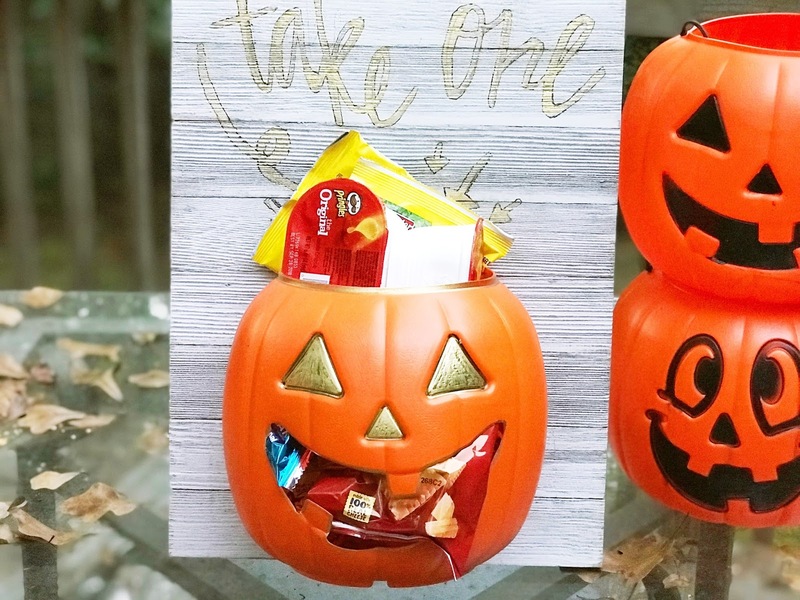 Not to mention - these snacks are spooky good!